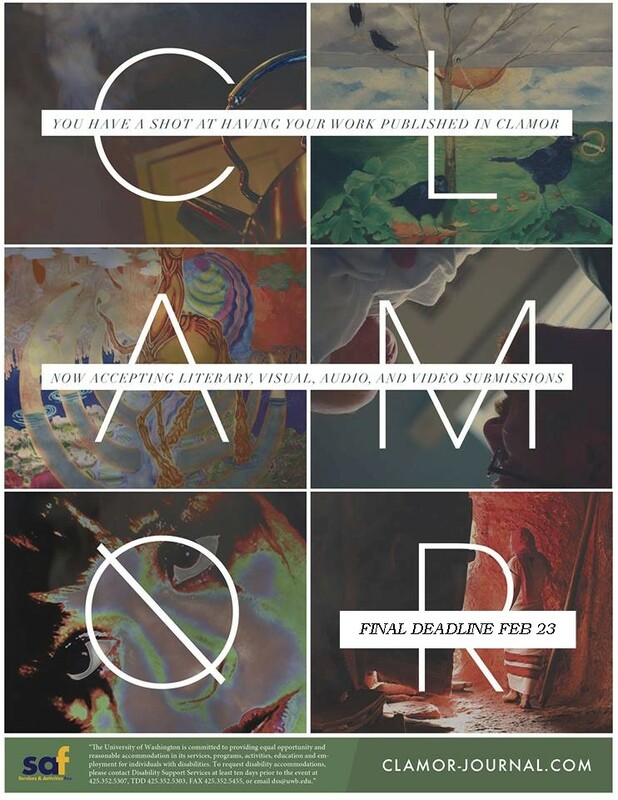 Final submission deadline for possible publication in Clamor 2014: Sunday, February 23rd at Midnight. You may submit up to three pieces in each of the three categories: Creative Writing, Audio/Video, and Visual Art. Submissions are open to to the artistic community beyond our campus borders as well as all UWB students, alumni, faculty, and staff.